Over the last few decades, many improvements have been made in the efficiency and reliability of air conditioning systems, thanks to technologies like variable-speed blower motors and two-stage compressors. If the air conditioning system in your Avon home is older or is starting to have problems, a new system may be well worth the investment. At Service Plus, we offer complete AC replacement and installation services, as well as routine maintenance and repairs. 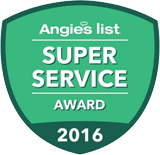 With over 15 years of experience in the industry, and a reputation for reliable, honest service, you can trust our team for all your heating and cooling needs. To learn more about our HVAC service, contact Service Plus today at 317-434-2627! We serve the entire Avon area, from County Road 500 East to Ronald Regan Parkway. At Service Plus, we can work with you to find a system that has the features you want, the performance to cool your home efficiently, and a price that works will within your budget. To learn if AC replacement is the right choice for your home, contact us today! With a new air conditioning system, you can benefit from greater comfort, improved energy-efficiency, lower cooling costs, and the latest technologies, like Wi-Fi thermostats, zoning systems, and more. For an installation quote in Turner Trace, Whispering Pines, Austin Lakes, or elsewhere in Avon, contact our team today! Whether your current air conditioner is on the verge of failing, or you simply want a more reliable and efficient cooling solution, you can depend on our team at Service Plus to help you select and install the perfect system for your needs. We can also help to keep it performing properly, with regular system inspections, maintenance, and repairs as necessary. Contact us today at 317-434-2627 to learn more about your replacement options and to request a free estimate!